The NFL saw a heavy inflation of story lines last weekend when Colin Kaepernick elected to not to stand during a Preseason National Anthem, and it kept steam all the way through Monday when Joey Bosa finally signed his rookie deal with the San Diego Chargers. 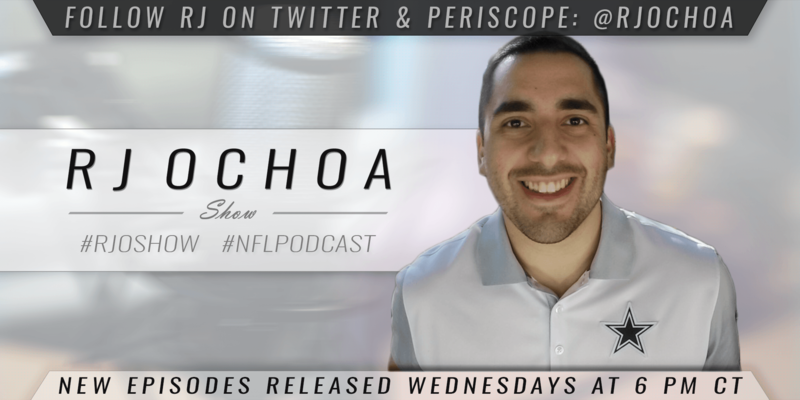 As a result of so much on your plate, Inside The Star Staff Writer RJ Ochoa took to the RJOShow – a weekly NFL Podcast presented by Slant Sports Audibles – to break it all down just for you. Make sure to subscribe to the RJOShow on iTunes, Stitcher, TuneIn, or Soundcloud. Rate the show, write a review, and tell a friend!